As a dip: Combine a cup of store-bought hummus and a half-cup pumpkin puree. Use it to spread on crackers or pretzels or to dunk vegetables like carrots and red peppers. As a soup: Sub pumpkin puree for sweet potato or carrot puree in your favorite fall soups. Add some spice by adding cayenne or chipotle pepper or boost flavor with peanut butter. On pancakes: Mix together equal parts softened butter and pumpkin puree. Drizzle in maple syrup to taste. Use it on top of your short stack of pancakes or waffles. In a smoothie: Blend together until smooth 8 oz oat milk, a banana, at least ¼-cup pumpkin puree and 1 to 2 tbsp peanut butter. In granola: Whip up an easy batch of homemade granola add two tablespoons of pumpkin puree to the mix before baking. In hot cocoa: Pour a cup hot milk of choice into a blender with the hot chocolate packet—or make your own with 2 tbsp unsweetened cocoa powder and 1 tbsp sugar—and add a tablespoon of pumpkin puree. Blend until smooth. 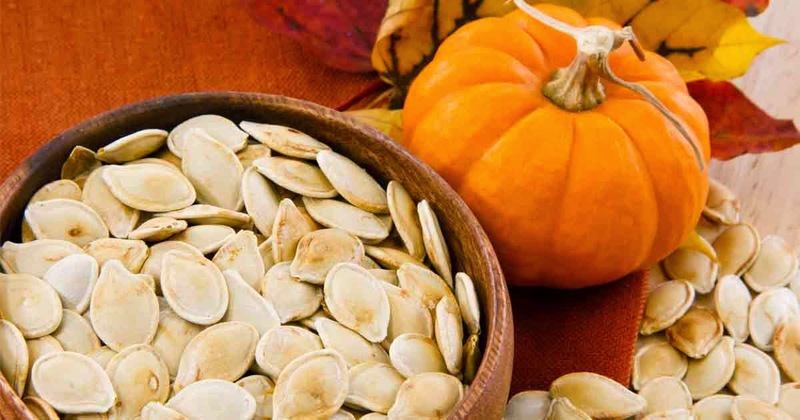 Roasted seeds: If you carve a pumpkin, save the seeds. They’re high in magnesium, a mineral responsible for over 300 important chemical reactions in your body. Toss with olive oil, salt, and spices of choice—like cumin or chili powder. Spread on a baking sheet and bake in a 300-degree oven until golden, stirring every 4 to 8 minutes.